MANILA, Philippines - President Benigno Aquino III is set to lead the country in meeting two of the world’s most powerful political figures of the current era – U.S. President Barack Obama and the Russian President Vladimir Putin in the culminating event of Asia-Pacific Economic Cooperation (APEC) 2015 Economic Leaders’ Meeting. 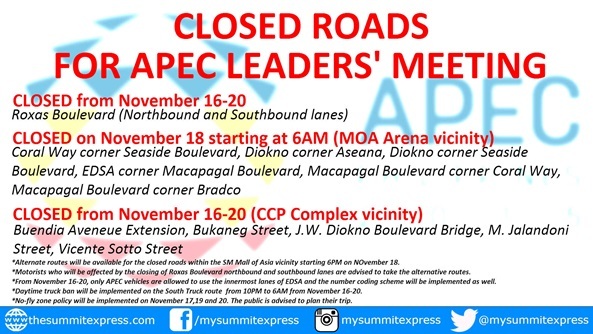 (November 18), APEC CEO Summit (November 16-18) and the APEC SME Summit (November 17). Malacañan already confirmed the attendance of Obama and Putin for the AELM as well as the presence of the rest of the members including the ASEAN member country leaders like President Joko Widodo (Indonesia) and Prime Minister Lee Hsien Loong (Singapore). Canada’s newest Prime Minister Justin Trudeau is all set to go to Manila as well. 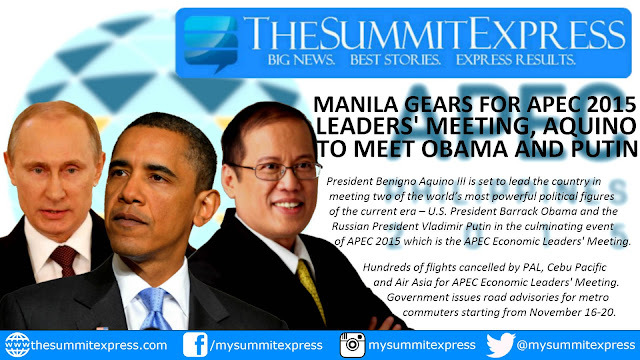 Manila still waits for China’s presence; will APEC 2015 ease tensions in Asia? While the rest of the member economies have already given their nods to grace this year’s APEC leaders’ meeting, China is yet to confirm the attendance of President Xi Jinping for the event. However, the palace has already given an assurance that Beijing will send their head. If in the case that China will confirm its attendance, then all the countries who are facing issues with each other over the re-balancing of Asia will meet. Russia and China has strengthened their ties over the past years through economic and military partnerships, crafting an identity as the superpowers of the east while the United States has been very supportive of Japan as they took the lead in upholding the freedom to navigate the South China Sea and shrugging China’s nine-dash claim to the region and other territories that it is claiming against ASEAN countries like the Philippines and Vietnam which are on the US-Japan side. The 21-member economy annually holds its leaders meeting hosted by one of its member country. This is the second time that the Philippines is serving as its host, the first one was in 1996. This year, the Aquino administration expects 10,000 people to witness the event comprising of around 7,000 delegates, tourists and international and local media organizations, making APEC 2015 the largest gathering in its 26th year of existence. The government has also reminded the public that certain roads in the metro will be closed during the event to ensure the safety of all the international leaders. The road advisories can be found in the official website of APEC 2015.